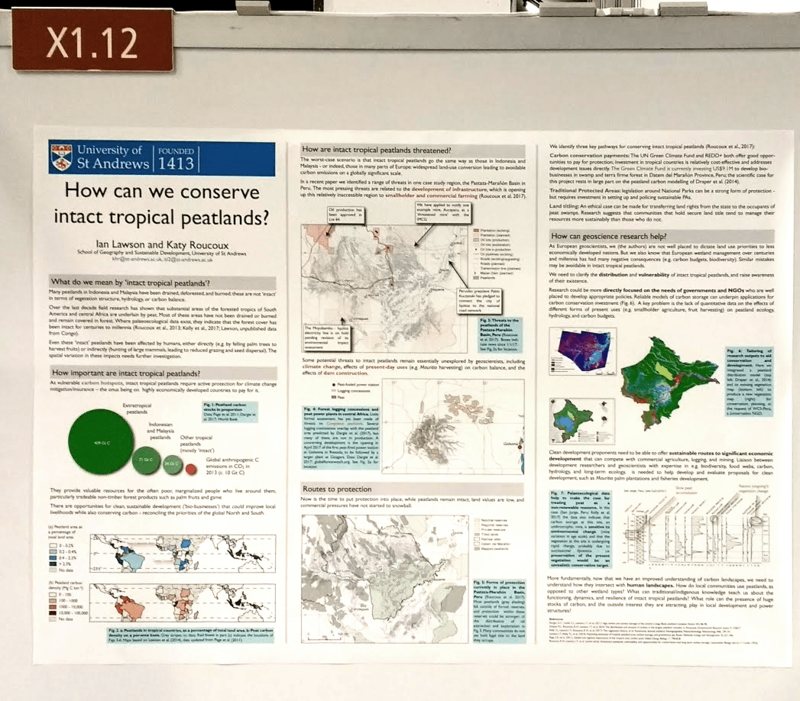 Ian Lawson convened a session on “Peatlands in the tropics and beyond”, along with Claudio Zanelli, Sue Page, Hinsby Cuadrillo-Quiroz, and Jorg Kaduk, at EGU in Vienna. The session took place, appropriately, in the basement, in a packed room. Talks spanned a range of topics, including conservation, biochemistry and palaeoecology, from sites across the tropics (and one site in the Mediterranean as well). The talks were followed in the evening by a very well-attended poster session, including a poster by Ian and Katy Roucoux.